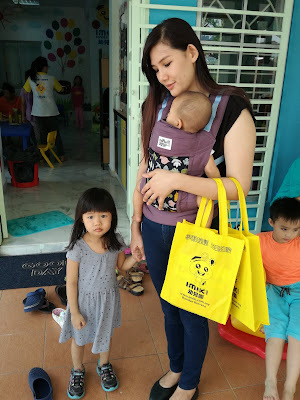 It's finally time for Miya to go to preschool as she turns four next year and choosing a kindergarten can be challenging and stressful! 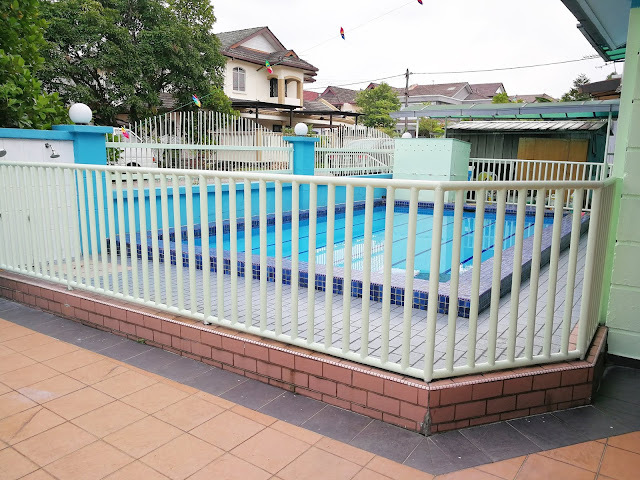 I've been searching for a suitable kindergarten in the neighborhood and that's how I come across IMIKI Kinder Care, it's located at Bandar Kinrara 4, Puchong which is just 10 minutes from my place. IMIKI was established in 2008 with 10 years of experience in kinder care and education centers, at the moment they have up to 40 kinder cares and education centers nationwide. IMIK emphasis on easy learning and fun development, has four teaching method Morale Teaching, Fun Teaching, Theme Teaching, and Memory Teaching. Morale Teaching - will help your child think independently as well as learning proper manners, for example, respecting elders, peer groups and subordinates. In the past events, trips to the orphanage is also organized by the school. Fun Teaching - Enhances children’s social skills, improves children’s self-knowledge and helps them to engage with others harmoniously. Theme Teaching - Every week the school will come up with a new themed to excite your kids. Children are trained to do thematic observations via the five senses (hear, touch, see, smell, taste) to improve their observational skills. Memory Teaching - This is a good technique to train both their left & right brain, specially-designed education materials is used to help children learn new vocabulary easily by matching them. 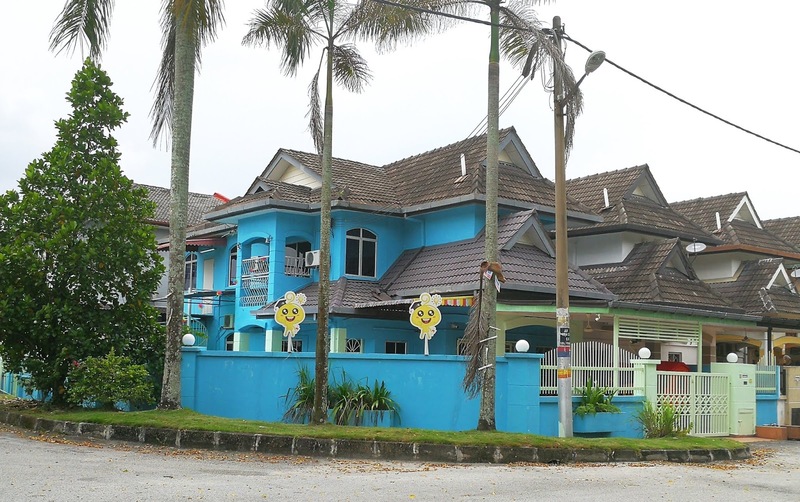 IMIKI Kinder Care offers a comprehensive multilingual preschool curriculum where Mandarin, English, and Malay is part of the learning process and this will help prep your children for primary school, the school accepts children from 2 to 6 years old with either full day programme or half day programme from Monday till Friday. 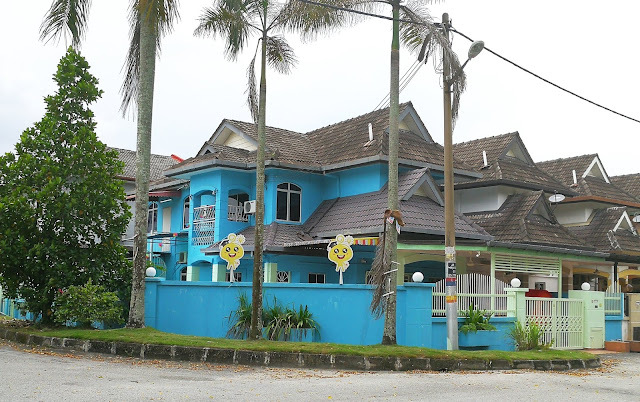 Let's take a tour at the kindy, shall we? I know that when children start kindergarten, they tend to get sick a lot I really appreciate a school that puts fighting germ a top priority. 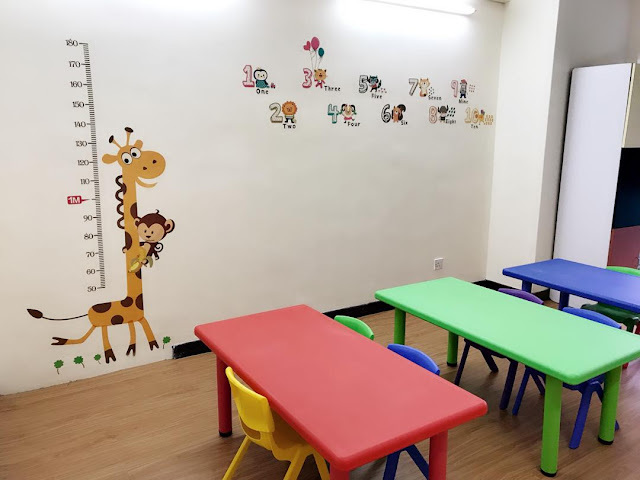 As we entered the kindergarten, we were sanitizing before entering the premises, the temperature of each student will also be taken before the day starts and if they are sick, they will be separated to another room and monitored by the teachers in charged. Miya was also thought how to keep her shoes properly into the cabinet. 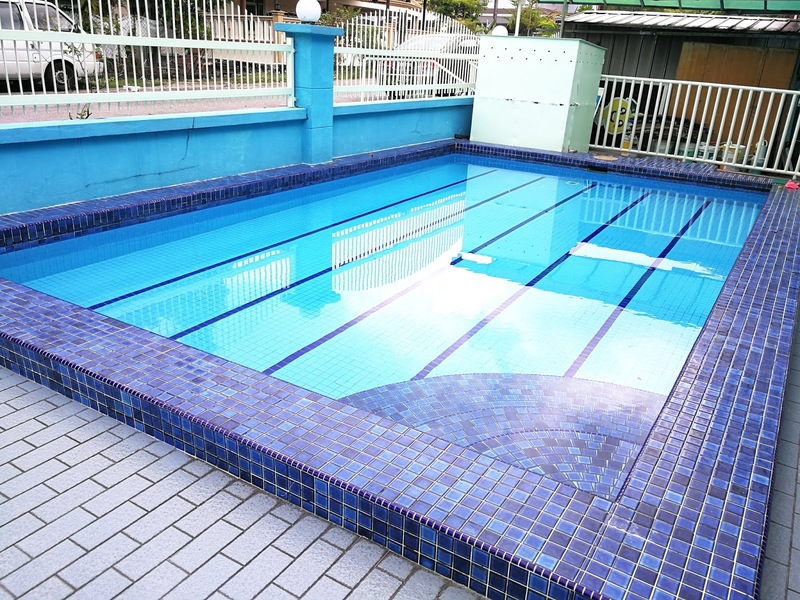 Imiki has a large and safe outdoor play area, it's equipped with a playground and a swimming pool. It's good to know that the children are not just confined to the classroom but is extended to the large and safe outdoor play area. For a good dose of outdoor activity, IMIKI offers swimming free play session for your child and it's done twice a week for full day students and once a week for half day students. An important element is the classrooms. There are a total of five classroom in the school, all of them are very spacious and comfortable, it is fully air-conditioned, clean, tidy and colorful with no sharp edge on furniture or anywhere. The classrooms create an environment for children to experience imaginative play, motor movements and rhythm, and dramatics. Look at how Miya enjoys the storytelling session from her teacher. Besides that school outing will be organized twice a year and field trip will be done once a year. The school runs from January till December so working parents do not have to worry to look for holiday classes for their kids in December. 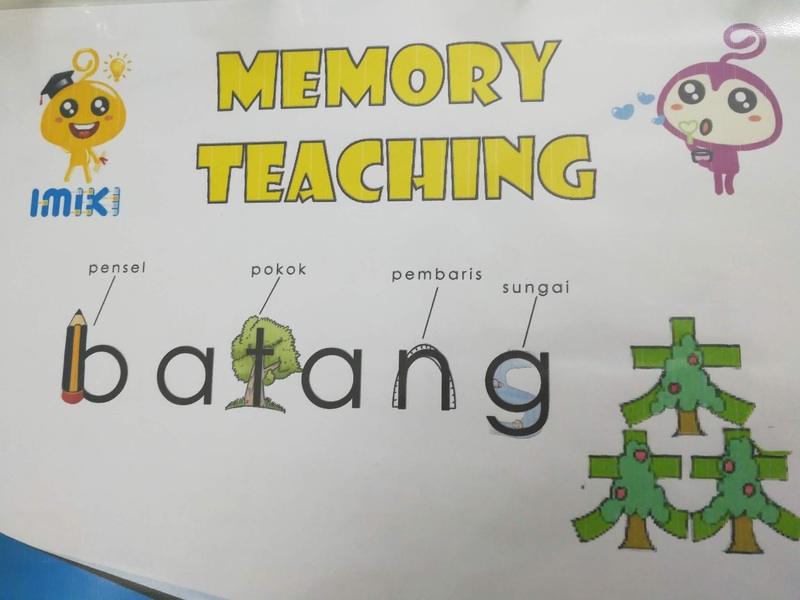 Remember I mentioned one of the teaching methods is Memory Teaching? 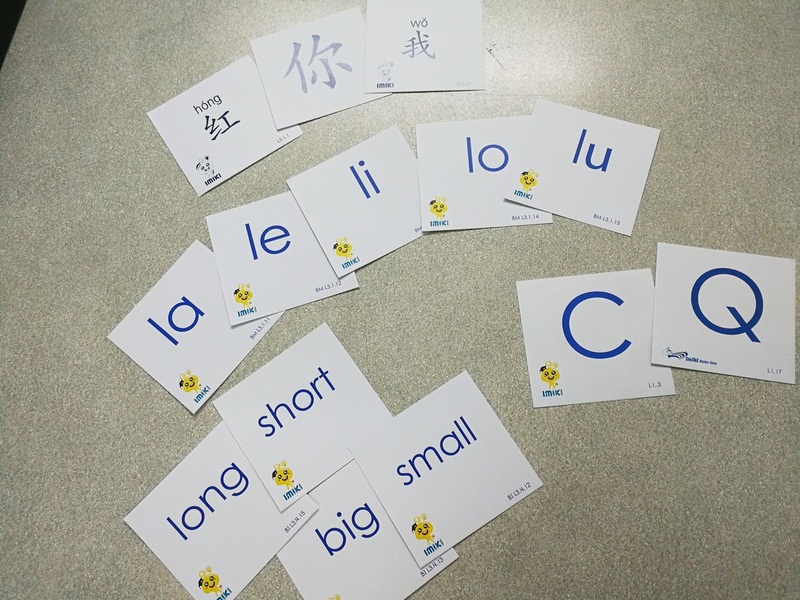 Take a look at their flashcards they feature fun, engaging images and familiar concepts for repeated practice. 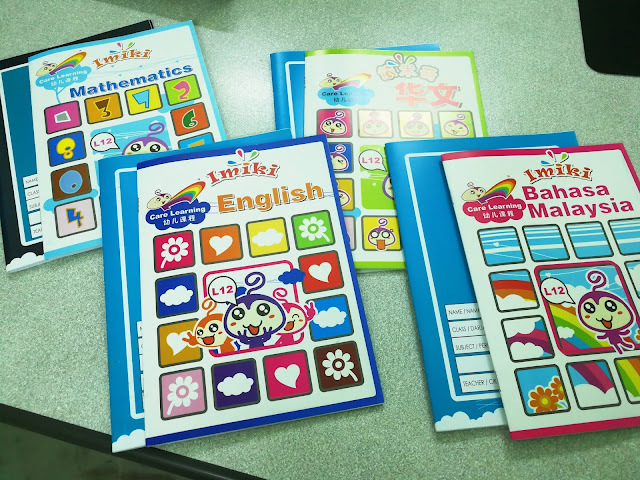 The workbooks are also engaging as well, your children have fun through the learning process. Breakfast, lunch and tea time will be included. **Extra charges will be imposed for any child who is picked up pass their programme. 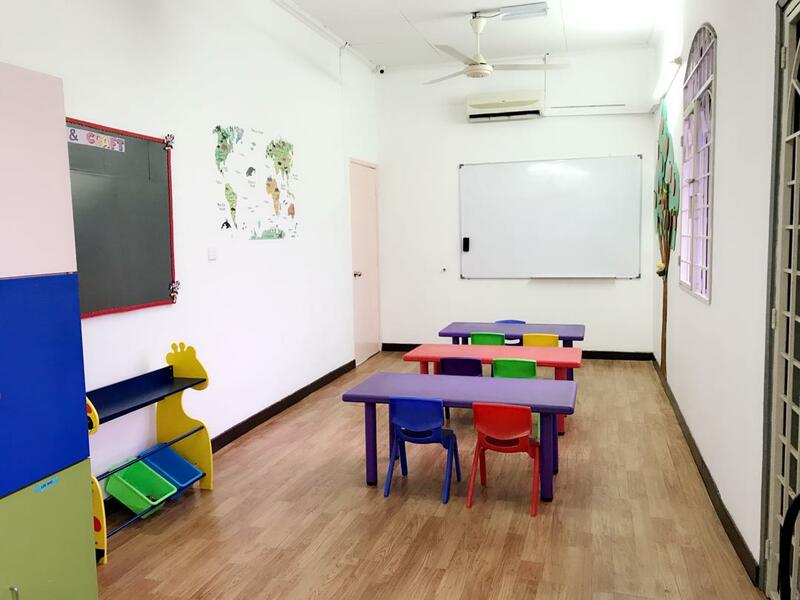 IMIKI Kinder Care at Puchong is a kindergarten that encourages development in sense of self-help, social and emotional development, physical development and hygiene, literacy, creative arts as part of the educational belief and curriculum. 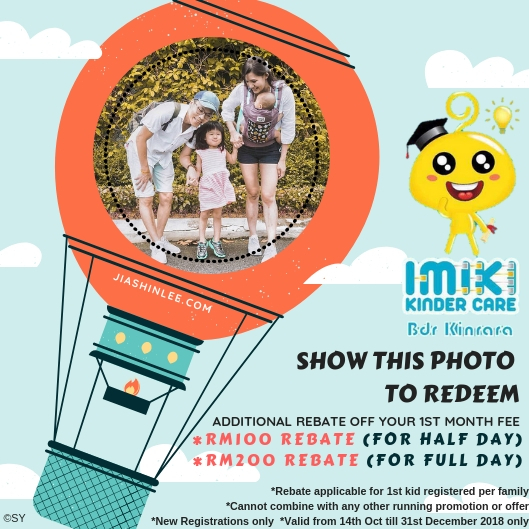 To find out more about IMIKI Kinder Care Puchong head on down to the Open Day on 14 October, with your child and get a chance to preview the facilities, curriculum and the wonderful teachers and their school and if you sign up on the day itself for 2019 intake you will receive 1 week free holiday programme worth RM500 in Dec 2018.